Even an un-optimized campaign can still make you money. But no online business should settle their budget for anything less than the best – You know you have to spend money to make money, you just want to make sure you’re spending less than you’re making. 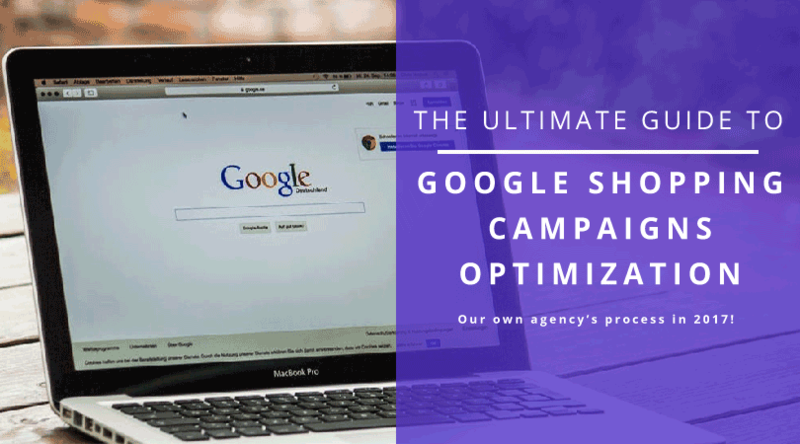 Get an inside look into our PPC agency’s Google Shopping campaign optimization process & learn how to set up and optimize your shopping campaigns for most bang for the buck! 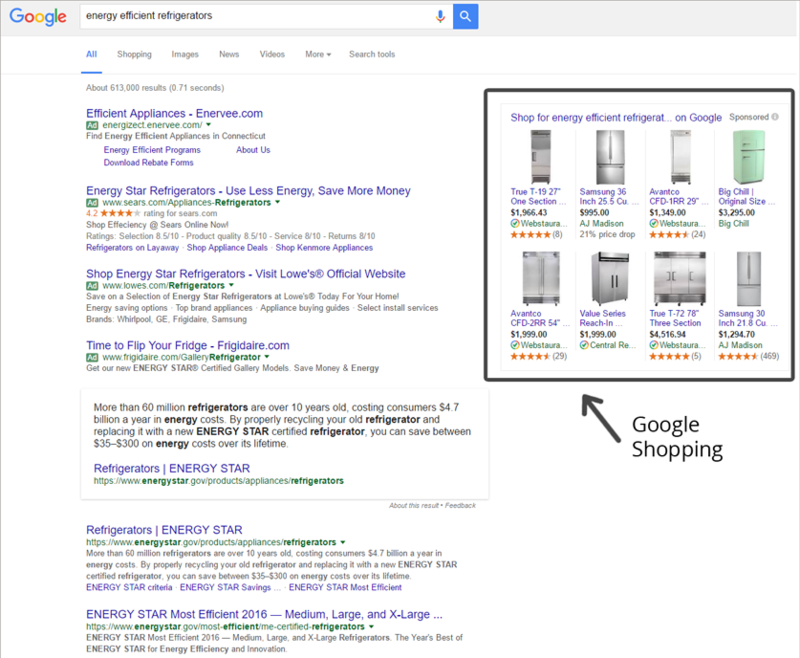 You instinctively know that your Google shopping campaign management can be better. As PPC or business managers, we want to have as much control as possible over our budgets & costs, and constantly improve our campaigns. And there are ways you can get more out of your campaigns, especially with the proper use of best practices (and PPC insider’s tips!). In this guide we’ll walk you through the strategy & processes we use internally in our agency, so you can see everything we do to maximize results from your product listing ads. We’ll show you how to run a Google Shopping campaign that has the potential to go past all your benchmark sales data. Hop on & learn proven techniques that our team uses for our clients success stories and move from on “ok campaign” to an impressive one! What is a good return on advertising spend? Like stated before, even an un-optimized campaign can bring in sales, even though we don’t recommend settling for that. However, if you think Google shopping doesn’t work for you, it’s time to give a more serious look to the following points and start prioritizing optimization steps in your plan, so you can improve your results. Are you itching for more sales? Download our free guide to learn how to get started with Google Shopping. Paid advertising is a tried-and-true tactic to generate more sales. One of the highest converting programs is Google Shopping. Instead of linking a typical text ad to a landing page, Google Shopping displays your products right in the user’s search results, making it far more likely they will visit your website over your competitors’. Also, if the user clicks they will land directly on your product page which means they will be further into the checkout process than if they arrive on your homepage or category pages. This means that the conversion rate will most likely be better. But optimizing a Google Shopping campaign for maximum profitability isn’t easy. It requires lots of good product data and plenty of tweaking. So how do we get the best results? How you apply these best practices will depend on your industry, products, budget and goals, but they all matter to some degree. Google Shopping is a powerful tool for ecommerce sellers. Download our 5-step guide and learn how to get started. According to RKG’s Q2 2017 Digital Marketing Report, the second quarter of 2017 shows that Google Shopping and the Product Listing Ad (PLA) accounted for 51% of Google UK search ad clicks among retailers, up from 40% in 2016. In the US, PLAs was 53% of retailers’ Google search ad clicks, with PLA spend growing 31% Y/Y. So if Google Shopping spends are on the rise, is this the same case for optimization? How many budgets could get more bang for their buck? To be exact, Product listing ads have over 20% higher click-through-rate compared to traditional text ads. Everyone should know by now that Google Shopping campaigns are a very efficient marketing channel for ecommerce and online merchant sites. The ads, also known as PLAs (Product Listing Ads), are very visual, tend to get more targeted traffic and are much more visible than text only ads in the search engine result pages. Retailers love them because they don’t have to research keywords or write ad copy. But if you think that Shopping campaigns are a breeze, you should think again because there is more to them than you might expect. Low sales volume – you’re getting a good ROI, but your conversion volume is too low. Wasted ad dollars – you’re spending the money, getting the clicks but you’re not seeing a good return. The reality is that Shopping campaigns need attention. Achieving great results takes time and effort. That’s why we prepared this awesome Shopping Ads optimization guide, so all the information on how to tweak your campaigns is at your fingertips. This step alone will improve your campaigns and how you evaluate them. A strategy will help you make the difference from a campaign that works, to a campaign that’s trully profitable. If you want to succeed, a strategy is essential, especially when you consider the fact that 56% of Google PPC budget is spent on shopping. Before getting your hands dirty with specific tips & tactics, set your campaign objectives. What are you looking to drive with your Shopping campaigns? Make sure you’re clear on what success metrics you will follow before creating a plan to achieve your goals. Make sure you spend some time to calculate your goals. Since we’re talking about Google Shopping, the main goal for every retailer should be ROAS (Return On Ad Spend). The formula to calculate your ROAS is: Revenue / Ad spend. What is a good ROAS target for my account? Lots of people that ask us this question are trying to find out benchmark data from other ecommerce stores – however, that is not relevant. Let’s assume that a good ROAS would be 7:1. That means that for every dollar spent on the ads you would get $7 in revenue. If you set your target too low, you could lose money. If you set your target too high, you could seriously limit the amount of money you make. Note: Cost of Goods Sold should include Product Cost and shipping (if you are offering free shipping). Say that you have a gross margin of 50%, then that means that your target ROAS should be at least 2:1 in order for you not to lose money. You will want to set a target higher than that so you can have some profit and cover other expenses, so a more suitable target in this case would be 3:1 or 4:1. If your campaigns would be getting sales at a ROAS of 4:1, then that means your campaigns will have a good return AND you would attract new customers at no cost to your business! These new customers will feed into your email marketing funnel and they will buy from you again. Now that you have your ROAS goals, dive deep into optimization of every step of the strategy. If you are serious about improving your campaigns, we recommend reading this guide front-to-back. We’ve tried to make it as concise as possible and easy to understand. Each section of this guide is important to understanding the most effective practices of Google shopping optimization. Running an effective campaign is about poring over your data, figuring out what works, and exploiting it until the sales just won’t stop. The only way to maximize your campaign’s performance is regularly review its effectiveness. Even if you feel it’s set up as best as possible and performing well enough, there’s alway some tweaking to be done to squeeze out a few more conversions. Adjust your Product Groups. Change or modify your bidding strategies. Adjust copy and images. Test how each of these changes affects the campaign’s performance. Most importantly: actively manage your data feed so it’s always up to date, even if you upload a new file several times per day. With this level of optimization, you can improve your performance, reduce your workload & compete at a high level. Take control of your campaign budgets by making each product more profitable. While campaign optimization takes ongoing work, tweaking strategies & understanding how Google shopping’s algorithm works, the benefits are worthwhile: you’re basically going to make more money while spending less (which is kind of our team’s mantra!). So, when it comes to your campaign, never “set it and forget it.” Yes, even a forgotten or under-optimized Google Shopping or PLA campaign is a safe way to return results and sales. But what ecommerce wants to settle for less than the best? If mastering this optimization process seems daunting to you, partnering with the right agency to manage this can more than make up for the cost. Want to review or start your Google Shopping campaign strategies? ← Can Bing Ads Get You Better PPC Results?